Capstone design courses often provide authentic learning opportunities and real-world responsibility at the conclusion of students’ undergraduate engineering education, helping prepare them for their career and life trajectories after graduation. Cultivating the broader capstone design ecosystem can further enrich students’ learning, expand student connections, and facilitate acquisition of the Engineer of 2020 attributes. This paper presents a framework and associated strategies for a capstone design ecosystem that extends across the capstone design course, across the engineering department, across the institution, and across the alumni community. The paper discusses implementation of the proposed ecosystem approach as a case study supplemented by student testimonials and survey results from students and alumni regarding impact. 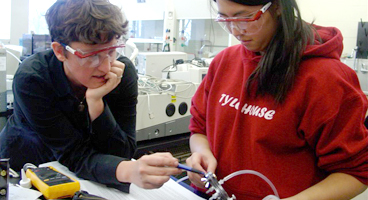 Capstone educators are encouraged to try these strategies, in part or in whole, within their own institutions so as to improve capstone design experiences and better prepare students for engineering in 2020 and beyond. © Tempus Publications 2014. Used with permission. Howe, Susannah, "Cultivating the Capstone Ecosystem to Educate the Engineer of 2020" (2018). Engineering: Faculty Publications, Smith College, Northampton, MA.